The Great Ocean Road stretches along the south coast of Australia, from the surfing town of Torquay towards Warrnambool & Port Fairy. Due to its diverse geology & distinct ecosystems, The Great Ocean Road has a shifting oceanic climate that varies from place to place on any given day. 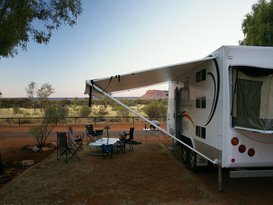 This scenic seaside drive, complete with breathtaking views, amazing natural landscapes and quaint coastal villages is one of Australia’s favourite places to go camping and caravanning. The Great Ocean Road abounds in natural beauty and opportunities for adventure. Hike or ride the Great Ocean Walk to see the towering 12 Apostles near Port Campbell, surf iconic breaks at Bells Beach and uncover glistening waterfalls, dense fern glades and towering Canadian Redwoods in the Otways National Park. 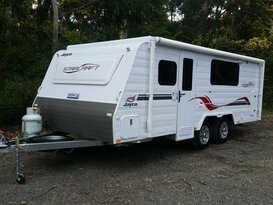 When you hire a local RV through camplify, you can choose to cruise down the coast in a campervan or motorhome, or if you prefer, organise for the owner to set up their caravan or camper trailer at one of the area’s popular tourist parks. 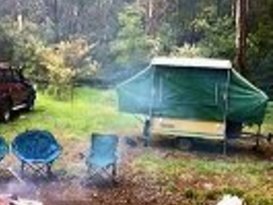 You’ll find some fantastic family camping spots all along the Great Ocean Road in charming seaside villages like Lorne, Apollo Bay & Port Fairy. 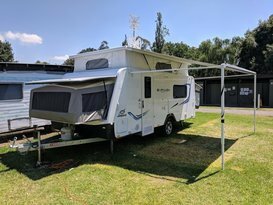 There’s also a wide range of secluded campsites to choose from in the beautiful Otways — don’t forget to look up and say hi to the local koalas lazing in the tall gumtrees. At night, take a stroll through Melba Gully, ‘the jewel of the Otways’ and marvel at the glow worms dotted along the sides of the walking track. 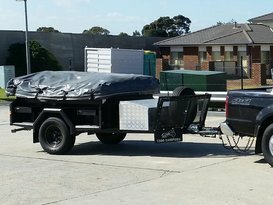 Here's some of our featured vans for The Great Ocean Road. We have many more! Head over to our Search page to find the perfect caravan or motorhome for your holiday. 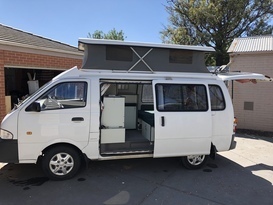 6 berth bunk van - so quick & easy!